Why Blame Modi For Praising Teresa When We’ve Forsaken Sister Nivedita? Given our own omission of indigenous nation-builders rooted in our culture and spirituality, what right do we have to criticise Modi who, by praising Mother Teresa, was just following his political mentors? Prime Minister Narendra Modi has come in for severe criticism from his home constituency, the Hindu nationalists. For them, he has committed the unimaginable sin of going out of the way to praise Mother Teresa. In his recent ‘Mann Ki Baat’, he said that she had “dedicated her life for the upliftment of the poor” and, as an Indian, he felt proud and exhorted his countrymen to feel proud of her canonisation. Modi is even more vulnerable, what with old media and New York Times op-eds trying to make India look like it is blatantly discriminating against its Christian and Islamic minorities. Modi’s utterances on the subject are being closely watched in the run up to the canonisation of the Catholic missionary. The same liberal West which would ruthlessly attack and denounce most of Teresa’s stands and actions on issues like birth control etc., would take Hindus to task if their leaders spoke against Teresa. Because then it becomes civilisational. Nevertheless, one thing is certain. By praising Teresa, Modi has escaped one trap, but that will not make him dearer to the Church. The empire of evangelical business in the third world knows its enemies. Irrespective of what words of praise Modi utters, they know where he stands when it comes to evangelism. In this, they are far more intelligent than the Internet Hindutva-ites who start attacking Modi for his “praise” of Teresa. There is no other way of parsing Prime Minister Narendra Modi’s remarks about Balochistan in his Independence Day address to the nation on 15 August 2016. In his one-and-a-half-hour-long speech at the Red Fort to mark India’s 70th year of independence, the Prime Minister had just one sentence on the troubled regions controlled by Pakistan. But that one sentence was enough to spark off acute heartburn not just in Pakistan but also in China. After spelling out a long list of things that his government had achieved and had hoped to achieve, Modi spoke of how Indians wept after the killing of children in a Peshawar school in December 2014 while the terrorists exulted. e didn’t think it necessary to spell out what exactly he was being thanked for. Because the threat was implicit. A day before, Pakistan’s President Mamnoon Hussain, Prime Minister Nawaz Sharif and High Commissioner in New Delhi, Abdul Basit, had dedicated their country’s 70th Independence Day to “freedom of Kashmir” from Indian rule.arlier, following the uproar over the death of Hizbul Mujahideen terrorist Burhan Wani in a shootout with security forces in Kashmir 8 July 2016, Nawaz Sharif had lauded Wani as a martyr to the Kashmiri cause and pledged to continue supporting the separatists in the Valley. India has signed the Logistics Exchange Memorandum of Agreement (LEMOA) with the United States, with Defence Minister Manohar Parrikar and Defence Secretary Ashton Carter doing the formalities in Washington. It is, perhaps, the most serious strategic mistake made by the country in its nearly seven decades of independent existence. The text of the accord has not been made public and is unlikely to be at the request of the Narendra Modi government lest public scrutiny raise a political storm at home, providing ready ammunition to the opposition parties. The two countries, courtesy LEMOA, will use each other’s naval and air bases and facilities, it is said. But because the Indian Navy and and the Indian Air Force rarely stretch their reach beyond the Indian Ocean region in the one case and the western border with Pakistan in the other case, it is mostly the US military that will be reaping the benefits. Indian basing will permit deployed American forces to pull longer, more sustained naval and air operations in the extended region to realize US policy goals. 1) Russia will necessarily begin distancing itself from India; the military supply relationship will become more attenuated. There will be no incentive for Moscow to treat India and the Indian armed forces as other than a cash-cow. The warmth will be gone but, as likely, so will valued Russian platforms like the Akula-II SSN, which will be withdrawn. Depending upon just how intimate the Indo-US embrace is, it’d be foolish for Moscow to risk Indians handling cutting edge weapons platforms such as the Akula when there’s every likelihood US naval personnel will be able to go over the boat with a fine tooth comb. As it is, Russians have always derated the most advanced Russian equipment before transferring/selling them to India by about 33%. This has been standard Russian practice to minimize the risk of technology theft not so much by Indians as by India’s “friends”. 2) Indian foreign and military policy will have to reorient itself to US policy likes and dislikes. 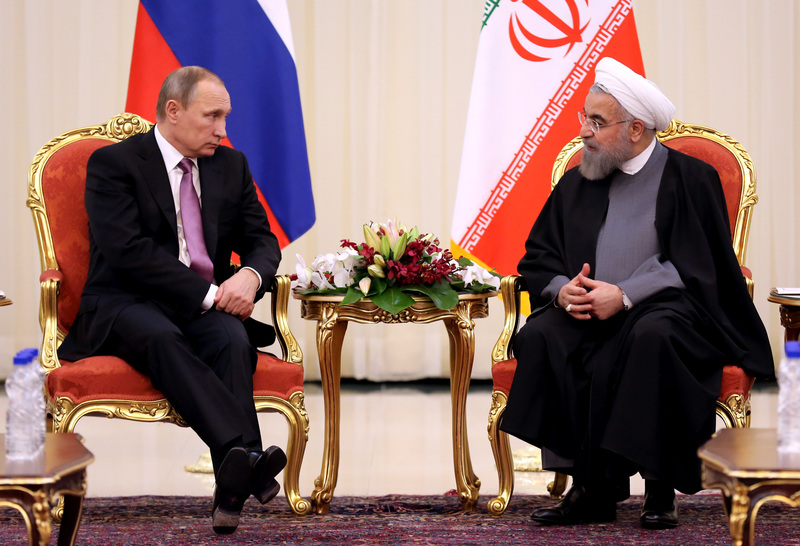 This will strain traditional friendships with Russia and, in the region, Iran, Washington’s current bogey No. 1. So the development of the Chahbahar option as an alternative Indian land route to Central Asia through Afghanistan and to Europe (through Russia’s Northern Distribution Network) will suffer. As will India’s understanding with Tehran about using Chahbahar as naval base and the northeastern Iranian bases for staging IAF attack sorties to augment the Ainee air basing. India’s geostrategic imperatives will thus hit a brick wall. India’s fine balancing act in the Muslim world between the sunnis led by the Saudis and the shia by Tehran will fall down, as the US will insist that New Delhi put its weight on the sunni side of the scale, which will roil domestic politics and internal security. Following Prime Minister Modi’s interview with Rahul Joshi, one can now expect even more op-eds, in the near future, critiquing the Prime Minister from the “Lutyens” group. Narendra Modi’s victory in the 2014 Lok Sabha polls and his taking over the role of Prime Minister dismayed a small elite group of Indians who have spent more than a decade portraying him in a negative light. This section, often termed as “The Lutyens” group, always presented Modi as an outsider to “national politics” and “Indian Ethos” in their narrative. For long it has been stated that the Prime Minister is not on good terms with “The Lutyens” cluster. Question: Mr Prime Minister, it’s being said that Lutyens Delhi did not like you. But have you started liking Delhi? Narendra Modi: As you know, the position of Prime Minister is such that there’s no question of liking or disliking Lutyens Delhi. But there’s is a need to deliberate on this. In Delhi’s power corridors, there’s an active group of people which is dedicated to only a few. It could be because of their own reasons or personal gains. It’s not a question of Modi. Look back at history. What happened with Sardar Patel? This group presented Sardar Patel as a simple person from a village with a simple intellect.Look at what happened to Morarji Desai. This same group never talked about his abilities, achievements. It always talked about what he drank. What happened with Deve Gowda? A farmer’s son became the PM, yet they said he only sleeps. And what happened with the supremely talented Ambedkar who they are praising today? They made fun of him. What happened with Chaudhury Charan Singh? They again made fun of him. So I’m not surprised when they make fun of me. These custodians who are dedicated to a select few will never accept anyone who is linked to the roots of this country. So, I too, do not want to waste my time addressing this group. The welfare of the billion people is my biggest task and I will not lose anything if I do not associate myself with Lutyens Delhi. It’s better if I live with the poor people of this country who are like me. Following this interview, one can now expect even more op-eds, in the near future, critiquing the Prime Minister from the “Lutyens” group. One of China's most ambitious economic and foreign policy projects is the so-called One Belt One Road initiative. It aims to connect the disparate regions in China's near and distant neighbourhood through a massive program of infrastructure building. It's President Xi Jinping's personal project, and some Chinese analysts have dubbed it as 'the number one project under heaven'. The initiative has received mixed reactions throughout the region, with division most pronounced in the Indian sub-continent. China's quasi-ally Pakistan regards the initiative (estimated to be worth around US$46 billion for the country alone) as a game changer. Pakistan's Minister for Planning, Development and Reform Ahsan Iqbal says the proposed China Pakistan Economic Corridor will turn bilateral 'friendship into a strategic economic partnership'. Indeed, if the scheme was implemented successfully, it would add an important economic dimension to the already close political and military relationship between Islamabad and Beijing. However, Indians view Beijing's ambitious program of infrastructure building very differently. It would be a gross understatement to say Delhi is concerned about China's One Belt One Road initiative. Having spent a week in India talking to security analysts, international relations experts and business leaders, opinions I've heard suggest antagonism with Pakistan and strategic distrust with China could be significant impediments to India's involvement. Globalization is in danger. Without continued investment and trade, secular stagnation in advanced economies and growth deceleration in emerging economies will continue to broaden. As China assumes G20 leadership, the prospect of global "protectionism" is on the rise and the stakes could not be higher for cooperation and major structural reforms. Since 1980, global economic integration accelerated dramatically until the onset of the financial crisis in the fall of 2008. After years of secular stagnation in major advanced economies and deceleration of growth in large emerging economies, modest signs of recovery have prompted international observers' hope for the revival of globalization. Even yesterday’s report that Taliban fighters have taken over the Jani Khel district in eastern Paktia province is arguably not such a big deal. After all, Paktia is situated on the eastern border with Pakistan – a country where the Afghan Taliban enjoy sanctuary. What is most striking, is that the Taliban have overrun districts in the northern Kunduz, Takhar and Baghlan provinces and are very active in every single province along the country’s border with Tajikistan, Uzbekistan and Turkmenistan. Not only have the largely Pashtun Taliban demonstrated the ability to advance into areas dominated by the country’s ethnic minorities (Tajik, Uzbek, Hazara, Turkmen, etc.) they are doing so while simultaneously operating in their traditional strongholds in the south and east. The instability is rooted in internal divisions that the government has failed to address. 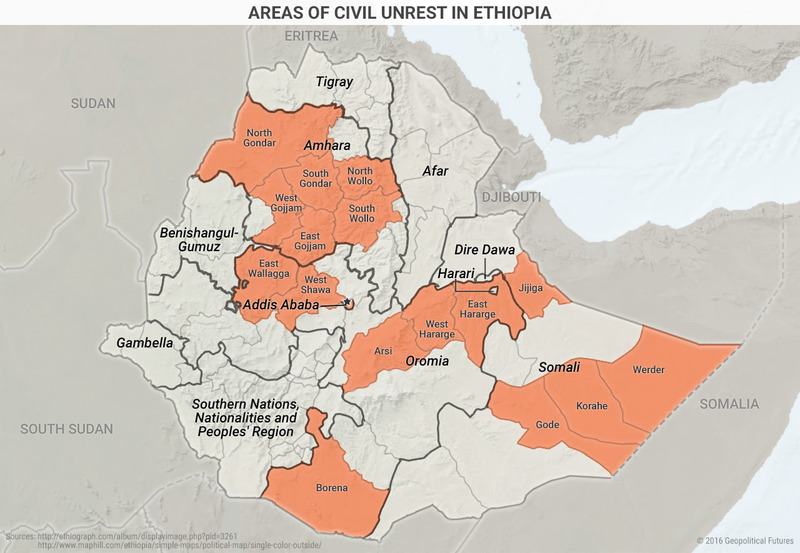 Over the past three months, Ethiopia has experienced violent internal unrest in the Amhara, Oromia and Somali regions, each of which has a different reason for protesting. These protests are a continuation in a pattern of unrest caused by endemic ethnic tension and separatist movements. Potential instability in Ethiopia is concerning because it is a major U.S. ally in the Horn of Africa and one of the largest economies on the continent. This week’s Deep Dive is a follow-up on one of the items listed on our recently introduced Mid-Term Taskings related to unrest in Ethiopia. Waves of violent internal unrest throughout the country have swelled over the past three months. Three separate conflicts are currently playing out. However, our assessment is that they do not appear capable of deposing the current government due to a lack of cohesion among the protesting groups and U.S. interests in maintaining stability in Ethiopia, which has led the U.S. to support Ethiopia’s government. Ethiopia is one of the most important countries in Africa in terms of size, military and location. With 99.4 million people, Ethiopia is the second largest African country by population. Its military ranks as the third most powerful, according to the Global Firepower Index, and its GDP is the eighth highest, according to the International Monetary Fund. The country has also enjoyed rapid growth over the past 10 years, averaging an annual growth rate of 10.66 percent, which makes it a leader among emerging economies. Ethiopia’s location in East Africa is very strategic for several reasons. First, the headwaters of the Nile River, a vital source of freshwater in the region, are located in Ethiopia. Addis Ababa can, in theory, unilaterally control the flow of water through the Nile River. This poses a huge strategic risk to Egypt and Sudan, which depend heavily on the river for freshwater. Currently, Ethiopia is in the process of constructing the Grand Ethiopian Renaissance Dam on the river, which has stirred controversy in Egypt and Sudan. Negotiations over the dam and its impact will be vital for Egypt’s stability and economy. The China-Pakistan Chemistry: What Keeps It Going, And For How Long? China and Pakistan are cut from different cloths, one from a rich civilisational ethos and the other from none. It is this oppositional nature of the two countries that glues them solidly together. China, thus, appears through the antiquity as a smug self-sufficient power, which had astonishing geographical diversity under it – from the cold deserts of Siberia and Mongolia to the tropics of the Pearl River Delta, from the ocean in its east to the western trading town of Kashgar and from the below-sea-level Turpan to the forbidding mountains of Tibet, or Xinjiang. Some of these territories broke away from time to time, but for the larger part of the last two millennia and a quarter remained under the Central Chinese authority. Under Mao, the regime was Communist, but the underpinning of even Mao’s ideology was always the Middle Kingdom superiority. How will China’s success at the G-20 summit be measured? Originally an annual meeting of finance ministers and central bank governors, the G-20 became a forum for world leaders in response to the 2008 financial crisis. With its members’ economies accounting for roughly 85 percent of global GDP, the G-20 is a more representative body than the G-7. But crafting the G-20 into an effective mechanism of global governance—rather than crisis management—remains a work in progress. As the largest economy outside of the G-7, China understandably has a keen interest in elevating the status of this forum. When China hosts the G-20 leaders’ summit in Hangzhou on September 4 and 5, it will be an important chance for the country to demonstrate that it has convening power on the world stage and that its participation is essential to solving global challenges. Although these goals are intertwined, organizing a well-attended G-20 summit is important primarily as a precursor to leading a productive meeting. It is on this latter metric—China’s ability to mobilize fellow G-20 members into collective action—that the success of the Hangzhou summit will ultimately be measured. The Hangzhou summit is an opportunity for China to project to leaders of G-20 countries—and to the world—that it takes global governance seriously and that its organizing and convening capacities are second to none. On the organizational front, China is applying the meticulous formula it used to successfully host the 2008 Beijing Olympics. A series of pre-summit meetings for ministers and sherpas have proceeded smoothly, with China using these events to showcase some of its other preeminent cities—from Xiamen to Guangzhou, and Nanjing to Chengdu. Meanwhile, the government has worked tirelessly to beautify Hangzhou and refine the city’s infrastructure in the lead-up to September. The preparations are as detailed as they are comprehensive. Reportedly, factories have even been ordered to paint their rooftops gray to appear more attractive in drone footage. And planners have arranged 760,000 volunteers for the summit, dwarfing the 50,000 volunteers registered for the entire Rio Olympics. For its part, the leadership of the Tibet Autonomous Region (TAR) has consistently underscored the importance of the region to the initiative. In January 2015, the third plenary session of the 10th Tibet People’s Congress announced the launch of the so-called “Himalayan Economic Rim project,” though the precise route is not yet known. 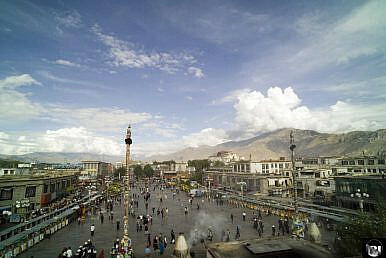 According to Chinese media reports, the “Himalayan Economic Rim refers to [land] ports in Tibet including Zham, Kyirong, and Purang economically supported by Shigatse and Lhasa.” The report adds that the “Economic Rim will be directed towards markets in the three neighboring countries of Nepal, India and Bhutan… to develop border trade, boost international tourism, and [cooperate] on strengthening industries such as Tibetan medicine and animal husbandry.” The report announcing the project noted that Tibet aimed to connect to OBOR and the Bangladesh-China-India-Myanmar Economic Corridor (BCIM).Enjoying this article? Click here to subscribe for full access. Just $5 a month. This article was originally published by YaleGlobal Online on 30 August 2016. With the approach of the Group of 20 summit in Hangzhou, there is expectation that China might clarify its position on the contested South China Sea. Contrary to expectations, those Asian neighbors and Western leaders who want to seize the occasion to press China on immediate issues will be disappointed. There will be little space to question publicly China’s drive into the South China and East China Seas, to seek confirmed implementation by China of UN sanctions targeting North Korea, to ask for more direct involvement by China in resolving the most urgent issue of our time – the Middle East in tatters and resulting refugee flows – or even to challenge China’s record-breaking attack on human rights and legal activists at home. Instead, the summit offers China’s leader Xi Jinping a unique occasion to shine and for China to extoll its complementary – or alternative – vision of the global order. As host country, China has engineered impeccable rhetoric and goals that are hard to disagree with, if somewhat distant and abstract, for the G20 leaders to focus on. US President Barack Obama is now a lame-duck president with much uncertainty over what follows him. European leaders are weakened by the continent’s inward turn, so powerfully shown by the Brexit. Western leaders are on the defensive much more than their Chinese counterparts. There may be isolated supporters in favor of focusing on issues of the day – Australia, Japan and even Korea spring to mind. Others like Brazil or Indonesia may not fully support China’s professed goals for the G20. Few will take the risk of disowning them. Too much of their economy is now tied to China’s fortune. As more Muslims settle in the West, and gain citizenship and the right of vote, the contours of the debate over religion and its place in society are bound to change. It all started, as it does quite frequently these days, as a debate on Facebook, this one among a group of libertarians discussing the relationship between religion and state. A friend posted a news story reporting that a halal supermarket— i.e., a supermarket selling only food and drinks that are permissible under Islamic law—in Paris has been ordered by local authorities to sell pork and alcohol (which are not halal) or face closure. Apparently, older residents of the area had complained that they were no longer able to buy the full range of products that had been available under the store’s previous ownership. “We want a social mix,” said the head of the municipality. “We don’t want any area that is only Muslim or any area where there are no Muslims.” He added that he would have reacted in the same way had a kosher supermarket opened on the site, and indicated that the authority was taking legal action to revoke the shop’s lease, which runs until 2019. Members of the Facebook group seemed to agree that this was another example of the French tradition embodied in the nation’s constitutional requirement of laïcité, or the strict separation of state and religious activities. This is sometimes contrasted with the First Amendment of the U.S. Constitution— which guarantees freedom of religion but doesn’t require the government to maintain secularism. In geopolitics, sometimes distance makes the heart grow fonder. Turkey sent troops into Syria yesterday. This caused Russia to declare its unhappiness with Turkey. U.S. Vice President Joe Biden visited Turkey yesterday. The atmosphere may not have been loving, but it was cordial, with none of the venom that had been visible since the coup attempt. The Russians have agreed that to halt operations from Iran’s Hamedan air base, but might return at some point. There is some sort of political battle raging in Iran over giving the Russians permission to use Hamedan in the first place. All of these apparently distinct threads tie together into a single, geopolitical story. Let’s begin with Iran. Iran has kept its independence for centuries, fending off two threats. One was Turkey, in its Ottoman guise. The other was Russia, both the empire and the Soviet phase. As an example, during World War II, Iran remained formally independent, but was occupied in the north by the Soviets and in the south by the British. After the war, the Soviets showed themselves reluctant to leave. It was American pressure on both the Soviets and the British that restored Iranian independence. It wasn’t American goodness. The Americans opposed Soviet expansion and were undermining the British Empire. Iranian and American interests coincided. The United States increased its power and influence in Iran, until the Islamic Revolution tore the relationship apart. The United States became Iran’s main adversary, but not its only one. Iran remained extremely cautious about Soviet designs, particularly in the early phase of the Islamic Republic. It remembered its long history with Russia. As for Turkey, it was weak in this period and didn’t present a threat. Iran was hostile to the United States and cautious about Russia. The recent deal on nuclear weapons was forced through in Iran by factions who argued that a policy of complete hostility toward the United States was undermining the Iranian economy and political interests. Another faction (or several) opposed the deal as a betrayal of Iranian interests and as a capitulation to the United States. This faction, rooted in the Islamic Revolutionary Guard Corps, fought and lost the fight. But it did not give up. For those in this faction, hostility toward the United States was the foundation of Iran’s foreign policy. Given the decline in U.S.-Russian relations, they saw Russia as an alternative to the United States. The government, which negotiated the deal, saw Russia as more dangerous to Iran in the long term, simply because the United States was far away and Russia was very near. To force the situation, someone in the Iranian government gave the Russians permission to use Hamedan air base for strikes against Syria. They apparently did not tell a wide range of people in the government that this was going on. There were apparently a number of flights out of Hamedan before the news broke. When the news broke, the flights were stopped cold. Since then, a political battle has raged in Tehran that has multiple dimensions, including a clash over who is actually in charge. Here’s a phrase to conjure with: “zero-day vulnerability”. If you’re a non-techie, it will sound either like a meaningless piece of jargon or it’ll have a vaguely sinister ring to it. “Year Zero” was the name chosen by the Khmer Rouge for 1975, the year they seized power in Cambodia and embarked on their genocidal rule. Behind the term lay the idea that “all culture and traditions within a society must be completely destroyed or discarded and a new revolutionary culture must replace it, starting from scratch”. If you run a computer network, though, especially one that hosts sensitive or confidential data, then zero-day vulnerability evokes nightmares and worse. It means that your system has a security hole that nobody, including you, knew about and that someone is now in a position to exploit. And you have no real defence against it. All software has bugs and all networked systems have security holes in them. If you wanted to build a model of our online world out of cheese, you’d need emmental to make it realistic. These holes (vulnerabilities) are constantly being discovered and patched, but the process by which this happens is, inevitably, reactive. Someone discovers a vulnerability, reports it either to the software company that wrote the code or to US-CERT, the United States Computer Emergency Readiness Team. A fix for the vulnerability is then devised and a “patch” is issued by computer security companies such as Kaspersky and/or by software and computer companies. At the receiving end, it is hoped that computer users and network administrators will then install the patch. Some do, but many don’t, alas. It’s a lousy system, but it’s the only one we’ve got. It has two obvious flaws. The first is that the response always lags behind the threat by days, weeks or months, during which the malicious software that exploits the vulnerability is doing its ghastly work. The second is that it is completely dependent on people reporting the vulnerabilities that they have discovered. AMID ALL THE noise the Sony hack generated over the holidays, a far more troubling cyber attack was largely lost in the chaos. Unless you follow security news closely, you likely missed it. I’m referring to the revelation, in a German report released just before Christmas (.pdf), that hackers had struck an unnamed steel mill in Germany. They did so by manipulating and disrupting control systems to such a degree that a blast furnace could not be properly shut down, resulting in “massive”—though unspecified—damage. This is only the second confirmed case in which a wholly digital attack caused physical destruction of equipment. The first case, of course, was Stuxnet, the sophisticated digital weapon the U.S. and Israel launched against control systems in Iran in late 2007 or early 2008 to sabotage centrifuges at a uranium enrichment plant. That attack was discovered in 2010, and since then experts have warned that it was only a matter of time before other destructive attacks would occur. Industrial control systems have been found to be rife with vulnerabilities, though they manage critical systems in the electric grid, in water treatment plants and chemical facilities and even in hospitals and financial networks. A destructive attack on systems like these could cause even more harm than at a steel plant. It’s not clear when the attack in Germany took place. The report, issued by Germany’s Federal Office for Information Security (or BSI), indicates the attackers gained access to the steel mill through the plant’s business network, then successively worked their way into production networks to access systems controlling plant equipment. The attackers infiltrated the corporate network using a spear-phishing attack—sending targeted email that appears to come from a trusted source in order to trick the recipient into opening a malicious attachment or visiting a malicious web site where malware is downloaded to their computer. Once the attackers got a foothold on one system, they were able to explore the company’s networks, eventually compromising a “multitude” of systems, including industrial components on the production network. As shadowy actors work to hack U.S. elections, a few simple steps could make electronic voting more secure, says one expert. Voting machine vulnerabilities go well beyond what most voters know, warns Dan Zimmerman, a computer scientist who specializes in election information technology. There probably is not time to fix all of those vulnerabilities by November. But there are still things election officials could do to reduce the hack-ability of the U.S. presidential election. Here are his five steps for making the U.S. election less hackable. This week’s report sophisticated actors in Russia trying to penetrate voter databases sounded alarm bells about the U.S. election being hacked. Zimmerman, who works with Free & Fair, a company that provides election-related IT services, says that because most electronic voting machines are not connected to the internet, the threat of remote hacking from Russia is small. The machines are far from secure, however. It’s an issue that’s been around for years, but lawmakers haven’t done much about it. Bottom line, there’s no federal standard for physical security around voting machines and that makes them very vulnerable. “They could be in a broom closet in a city clerk’s office. There is no federal level oversight other than there is something called the Election Assistance Commission, or EAC. The EAC was established in the early 2000s, basically as a response to the 2000 debacle, and has until recently effectively been a joke,” he says. 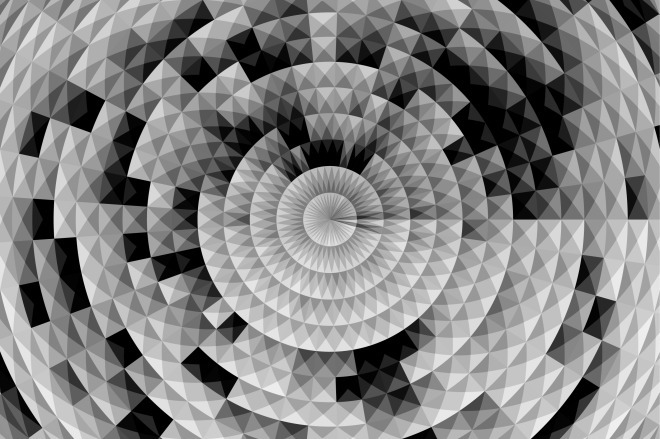 DARPA wants intelligent systems that can process and extract only relevant data. The sensors will need edge processing capabilities where they can analyze data immediately and trash irrelevant information. These sensors and systems won't be able to cross-reference larger data repositories on the cloud. 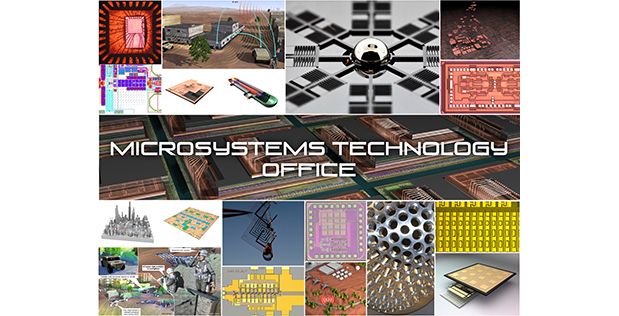 3) providing safe, secure, and assured access to an increasingly globalized microelectronics supply chain. You can also download our full special report on "Cyberwar and the Future of Cybersecurity" as a PDF in magazine format, available for free at registered ZDNet and TechRepublic members. SEATTLE — Dozens of allies threw their weight behind Microsoft on Friday in a case that challenges law enforcement’s use of secrecy orders to cloak its pursuit of digital communications in investigations. Amazon, Google, Snapchat, Salesforce and several others filed a brief on Friday in support of Microsoft in its case against the United States Justice Department, while Apple, Mozilla and others made their own filing. Civil liberties groups and media organizations like Fox News, National Public Radio and The Washington Post submitted their own briefs. Microsoft was also backed by a collection of law professors and a group of former United States attorneys who worked in the Western district of Washington, where Microsoft filed its federal lawsuit in April. Microsoft’s effort to rally support is part of a growing resistance by technology companies to government attempts to snoop on the electronic communications of their customers. 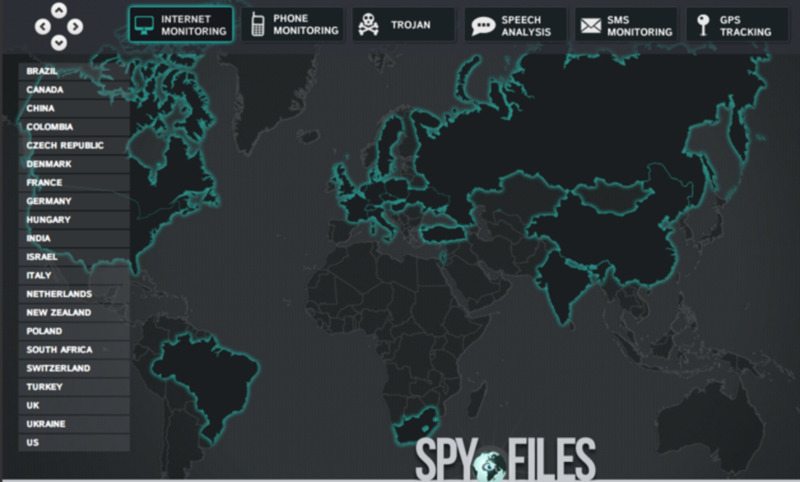 Revelations by Edward J. Snowden, the former United States government contractor, about the extent of electronic surveillance by spy agencies have rattled technology companies, which worry that trust in their products is being undermined. “We believe the constitutional rights at stake in this case are of fundamental importance, and people should know when the government accesses their emails unless secrecy is truly needed,” Mr. Smith added. Peter Carr, a spokesman for the Justice Department, declined to comment. WASHINGTON — Amid a growing focus on the Pentagon’s cyber vulnerabilities, it plans to reprogram $100 million toward uncovering such flaws in major weapon systems, according to budget documents posted this week. Defense Department Comptroller Mike McCord notified Congress Aug. 29 of plans to move the money from a technology analysis account to a research, test and evaluation account—described as classified in the DoD’s 2016 budget justification. The notice was first reported by Inside Defense. The Defense Department is bound by law to evaluate the cyber vulnerabilities of major weapons systems and report to Congress by the end of 2019, with $200 million authorized for the project. The mandate was the marquee provision in military cybersecurity legislation the president signed last year as part of the 2016 defense policy bill. Weapons systems developed over the past 20 years are "highly effective on the battlefield and yet also highly vulnerable to network attack," as they are increasingly dependent on "network targeting information, digital satellite communication to GPS networks, and digital command operating pictures/blue force trackers," Jacquelyn Schneider, a scholar at George Washington University warns in a report published this week by the Center for New American Security. DOT&E: Cyber Vulnerabilities Plague Battlefield Comms The highly networked nature of two key military systems, the the F-35 Lightning II and Distributed Common Ground System-Army, the service's intelligence dissemination system, illustrate how digitally dependent the US military has become. Indeed, the Pentagon's Director of Operations, Test and Evaluation (DOT&E), Michael Gilmore announced last year he found that nearly all of DoD's major weapons systems were vulnerable to cyber attacks. Forty systems in 2014 needed to fix cyber vulnerabilities, including the Army's Warfighter Information Network-Tactical, the Navy's Joint High Speed Vessel and the Freedom class of Littoral Combat Ship.